Would you want elephants to be pink? Would like to see pigs actually fly? So, come on, what would you like to see in your own world?!?! i would like to see fully grown kittens which are the size of hamsters!!! cute!! I always just wish some animals were more colourful. We have a friend who has a cat and it is grey and ginger...but because of the mix of colours it look pink! sooo pretty! my fav animal are wombats, wish we had them over here!! 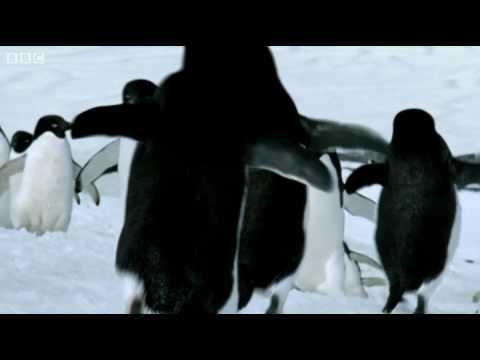 Penguins fly!! How awesome would that be! And seagulls that sit on the seafront & eat chips, which I can swoop in & steal. Up yours seagull!! Stealing the idea from Up! I'd love to know what goes through an animals mind! Also I'd love sound effects when they walk (like in tom & jerry)...imagine hearing a tuba everytime an elephant walks past, not very good for prey animals though...damn. each animal could have its own sounds effect! Wait, you mean they don't?! That'd make this a fake! 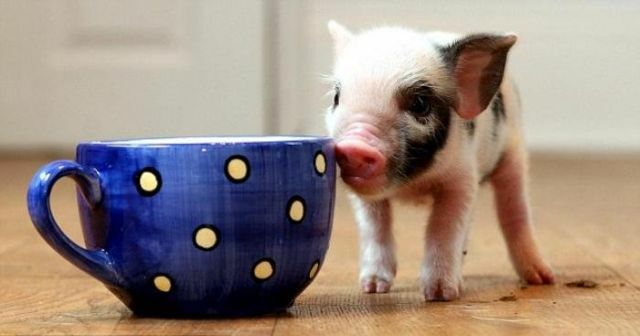 I would LOVE a tiny pig! I would have my dog talking and for her to be able to fill up my wine glass. I would love a HUGE rabbit (no naughty thoughts please) as in the wallace and gromit film...it would make me laugh so so much! Lol - well she knows how to get my attention if no water in her bowl,so could work!!! Not sure she could use the cork screw to open it though! Hehe! Love the ideas of animals with sound effects! I'd quite like a tail too! It would be really useful for tree climbing! Unicorns would be fun. Maybe the odd dragon roaming the streets. Or what if we brought dinosaurs back, probably best in miniature. I'd really like a unicorn too- with wings to give it that proper my little pony factor! How about a giant lady bird that could fly and sit me on top of it and deposit me at work - no traffic problems, bliss!